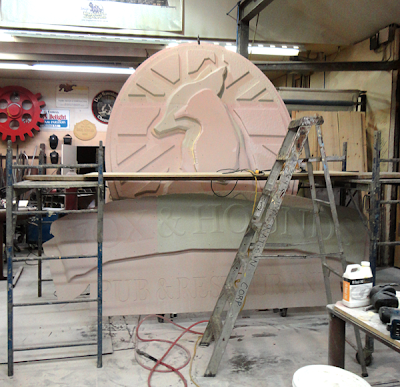 Today we set up the scaffold so I could apply the last of the hand done texture over the background areas of the sign. It made working on the sign a whole lot more comfortable, safer and faster. 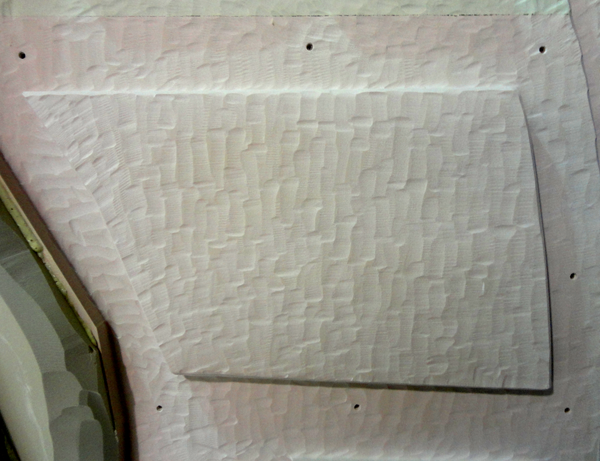 Here’s a typical section with the hand done texture done with the air powered die grinder. The screw holes have yet to be filled with Abracadabra Sculpt. I’ll be doing the fox head sculpt with the same material. Tomorrow we hope to do the bulk of the sculpt with final details to be done on Friday. After that it is on to paint.